Remember the days when prospects fought over available apartments like shoppers wrestling over a handful of underpriced, supersized flat screen TVs on Black Friday? Neither do I. Marketing is essential to leasing and retention; without it, communities become ghost towns and owners disappointed in the teams hired to manage their assets. They have an extensive network. Family, friends, co-workers, friends of family members, friends of co-workers, the cashier in the checkout line, their children’s teachers … you get where I’m going with this. As discovered in SatisFacts’ 2017 Today’s Online Renter Study, 77.1 percent of apartment hunters trust the opinions of people they know. You never know where the next lead will come from. They love to brag … and will do so to a worldwide audience. In the same study, 65.9 percent of apartment residents said they would be willing to post a positive review if asked by their management company. Sadly, only 18.5 percent had ever been asked. Talk about low-hanging fruit, especially considering that 70.6 percent of apartment hunters trust online reviews, even if they don’t know the person who wrote it. Without a doubt, online reviews are driven by the onsite experience, so give your residents something good to talk about. One positive review can open the door to many more future residents for years to come. And don’t waste the opportunity to respond to every online review. Just 13 percent of prospects don’t care if management responds to an online review. Benefit from the 87 percent who do care! They want neighbors who are just like them. Let them be your filter. Residents aren’t going to vouch for someone who may not be able to pass your application process. They definitely won’t attach their name to a deadbeat unable to pay rent on time or someone who is a nuisance in general. For those communities offering referral incentives, consider rewards aside from free rent. Dropbox increased its users from 100,000 to 4,000,000 (yes, million) in 15 months while bypassing the traditional pay-per-referral program. Dropbox decided to offer extra storage to both the referrer and the referee; the dual reward cultivated loyalty to the product while enhancing the customer experience. Rewards such as a 1-year fitness membership, utility/cell phone bill reimbursement or even two free oil changes have staying power, as opposed to a one-and-done rent credit. They remember EVERYTHING — so make the most of every resident interaction. Residents want individualized service, familiar faces in the office who are ready answers to their questions and provide swift resolutions to their concerns. The traditional practice of responding to calls and emails within one business day no longer works for today’s residents. They expect, no, demand a response within two hours! They want to help, but many don’t know how. Just about every resident has access to a mobile device, the main go-to gadget when it comes to marketing. Create a “Show Us Your Space” campaign and ask residents to make a simple video describing why a certain room in the apartment home is their favorite. Another idea is a “Why I Chose (Community Name)” campaign. Upload the videos to your social network pages, tag the resident (they will inevitably share it), and compile them all on a DVD or flash drive. Keep the video playing throughout the day in your clubhouse for prospects. Remember, residents love to brag! Generating traffic, securing leases, and retaining residents are not easy tasks. Layer in the numerous housing options for prospects, an economy that is constantly in flux, and the amount of new product hitting the market, and it’s not surprising management teams feel overwhelmed. Viewing residents as a marketing resource can free up some much need time and money. 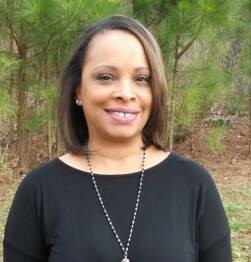 Lia Nichole Smith has over 20 years of experience in training and property management. She now serves as Vice President of Education and Performance for SatisFacts and ApartmentRatings.com. Hear more from Smith at the 2018 Midwest Multifamily Conference! Craft a four-step professional plan to respond to online reviews. Renters and potential renters cycle through connections that can make or break not just leasing but retention as well.